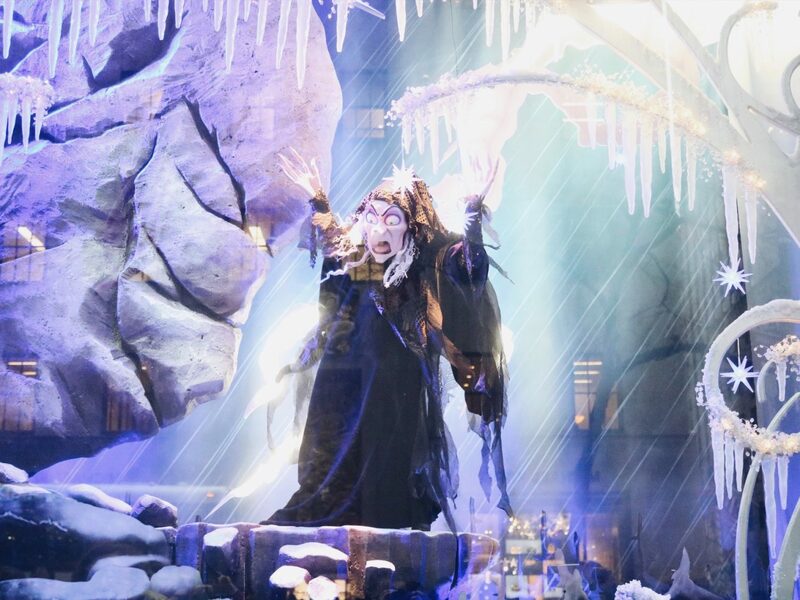 It’s no secret that I LOVE Christmas. 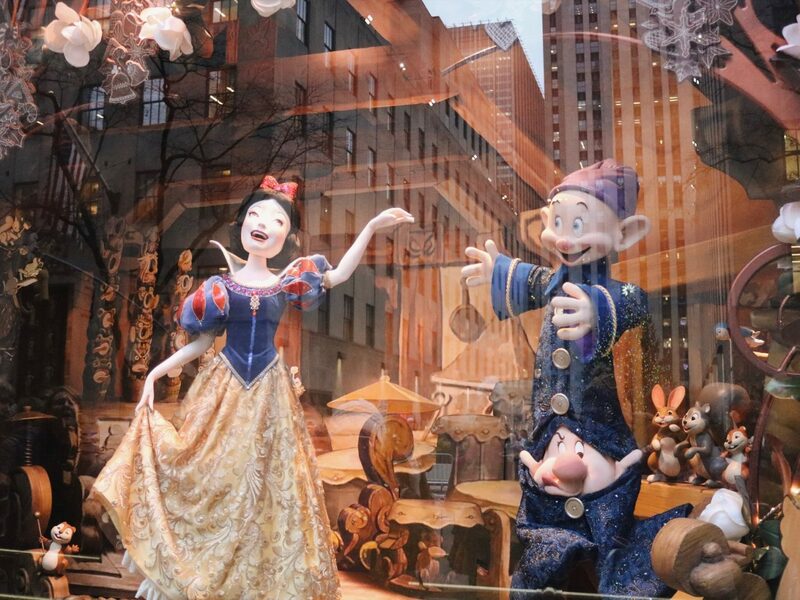 And if you spend 0.001 seconds on my blog then you’d know I LOVE Disney too. 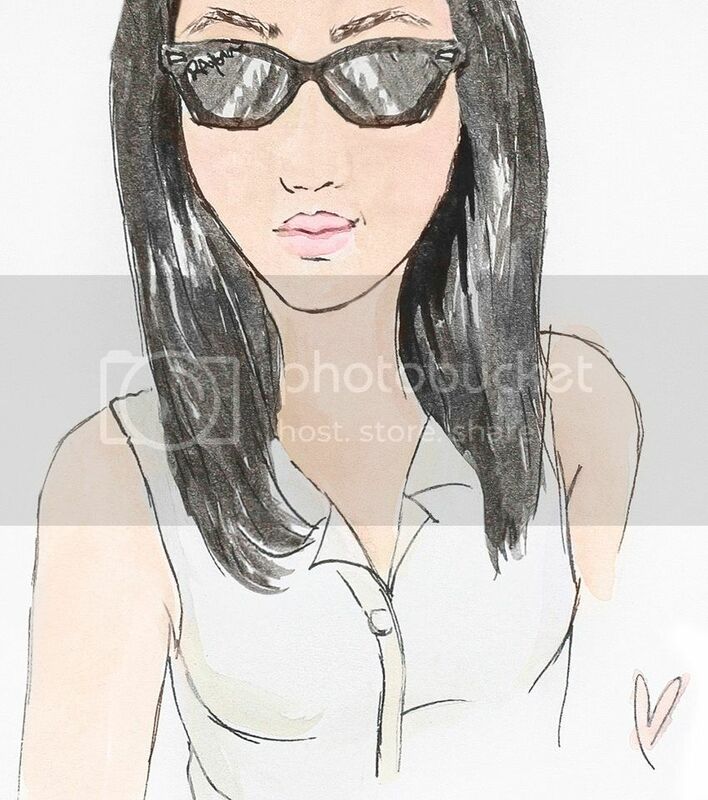 So of course I get a little giddy when the two are combined! 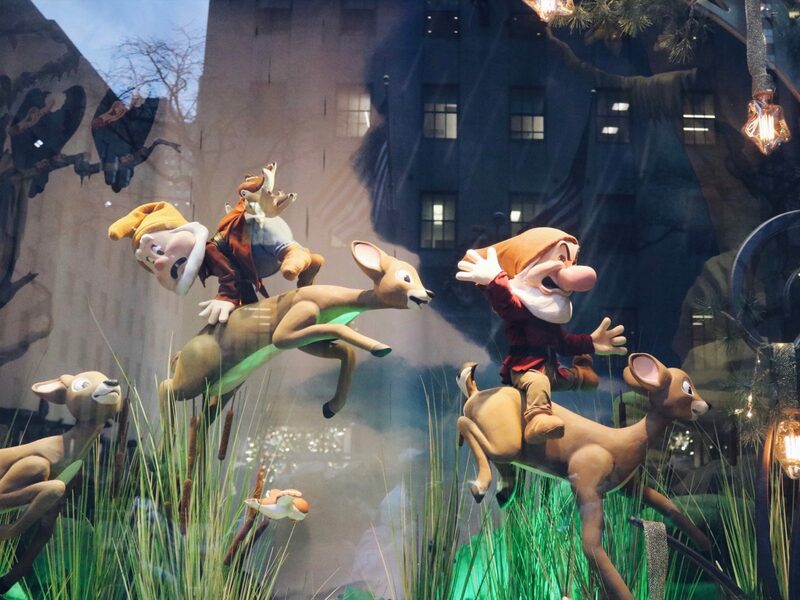 During the holidays I love going downtown and looking at the festive Christmas decor and fun holiday window displays. 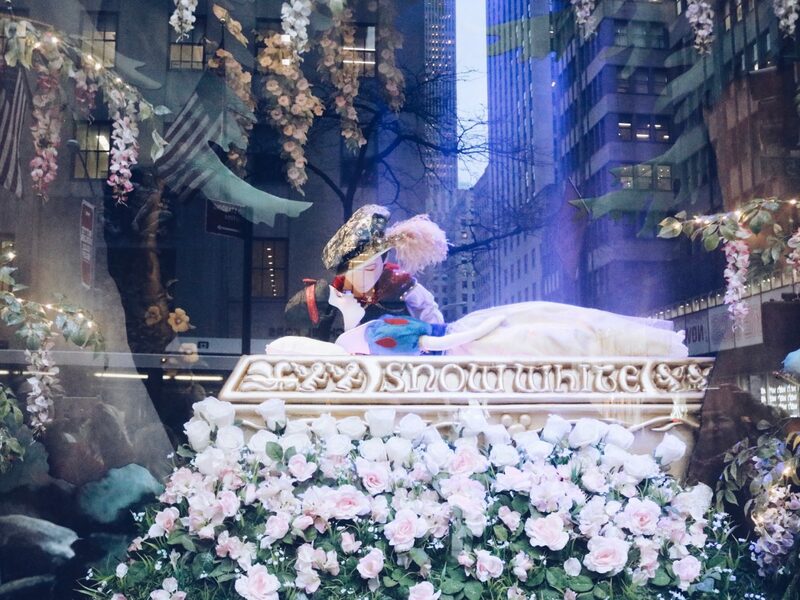 And although I’ve visited New York City during Christmastime before, I never get tired of seeing all of the amazing Christmas decorations throughout the city. 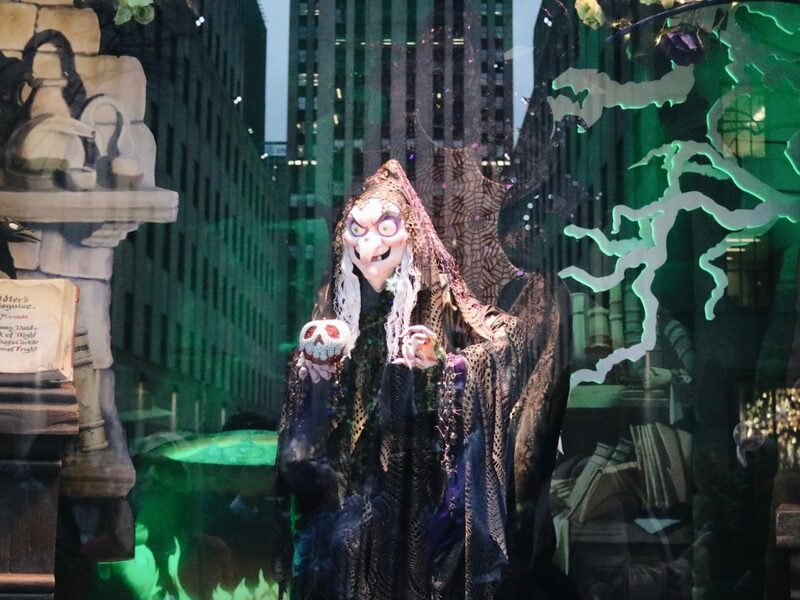 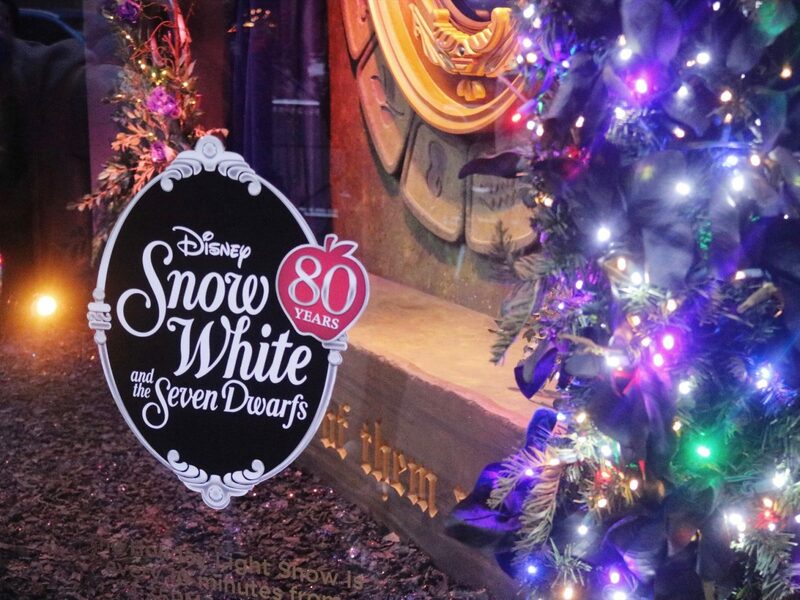 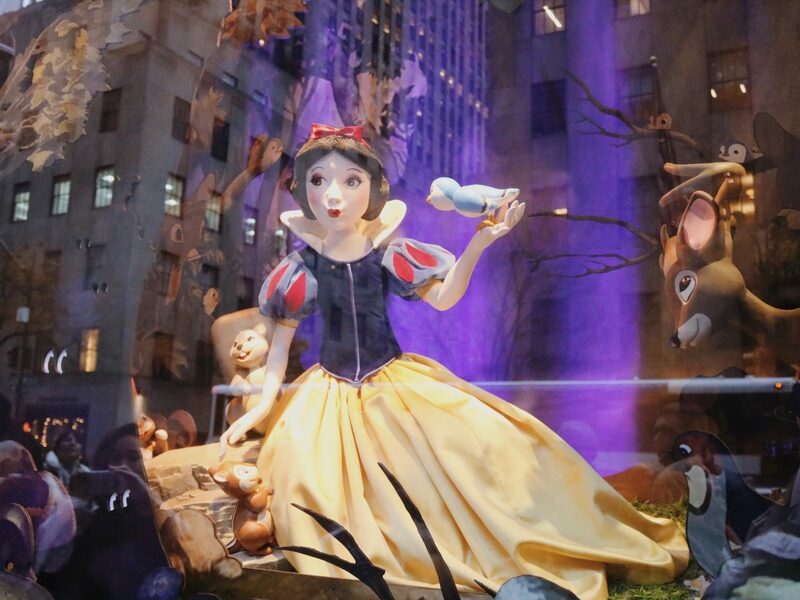 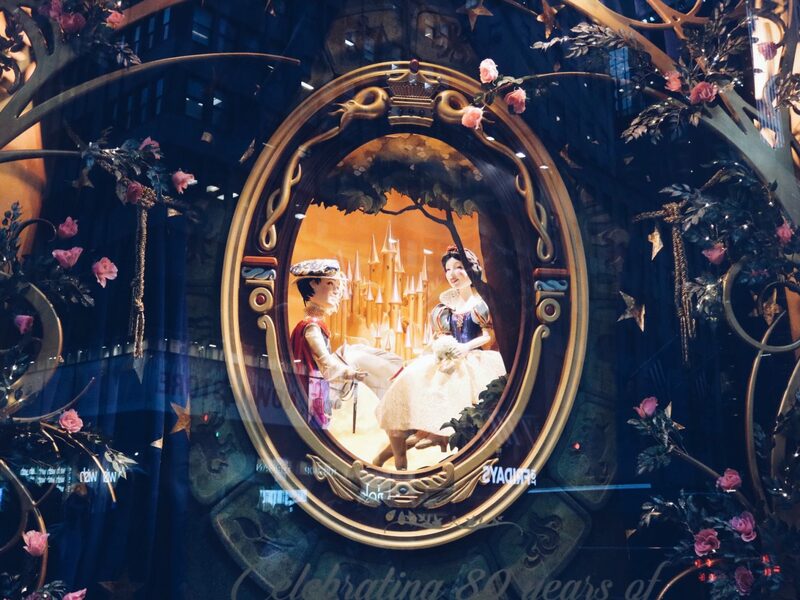 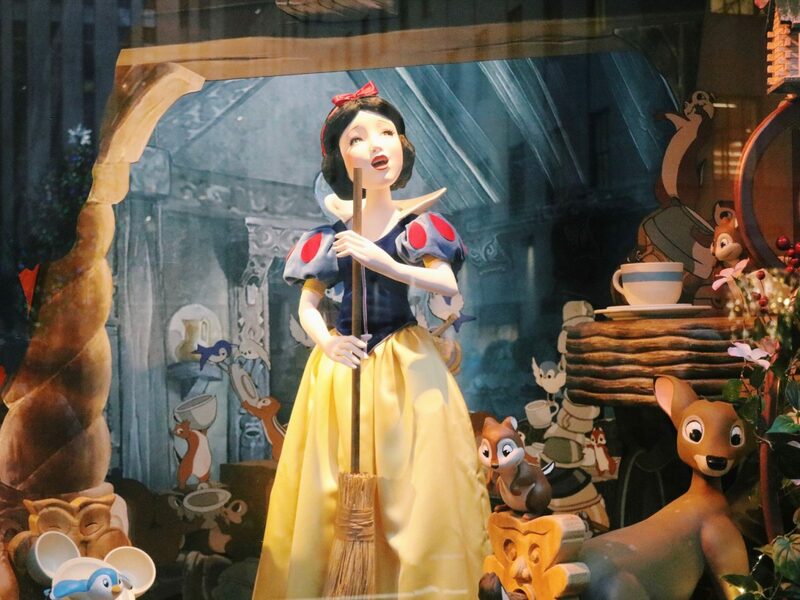 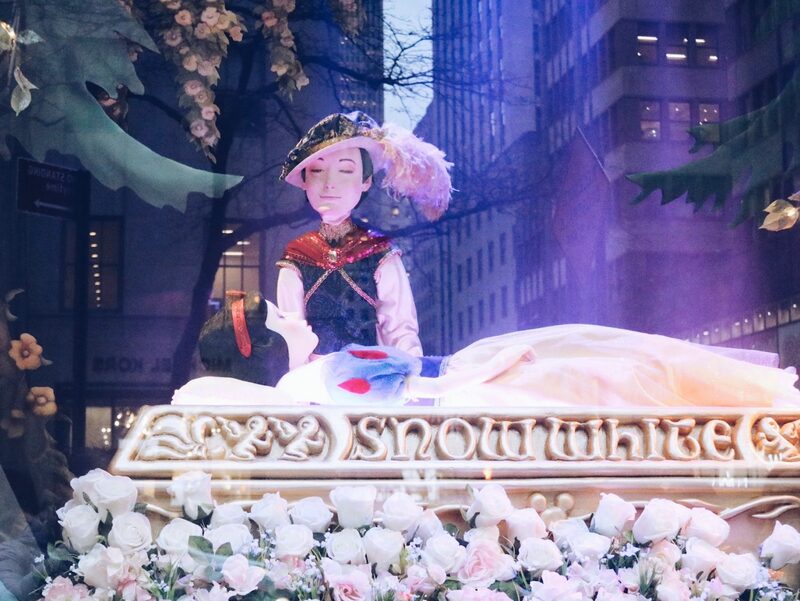 This year Saks Fifth Avenue’s holiday window displays paid tribute to Snow White and the Seven Dwarfs, in honor of its 80th anniversary! 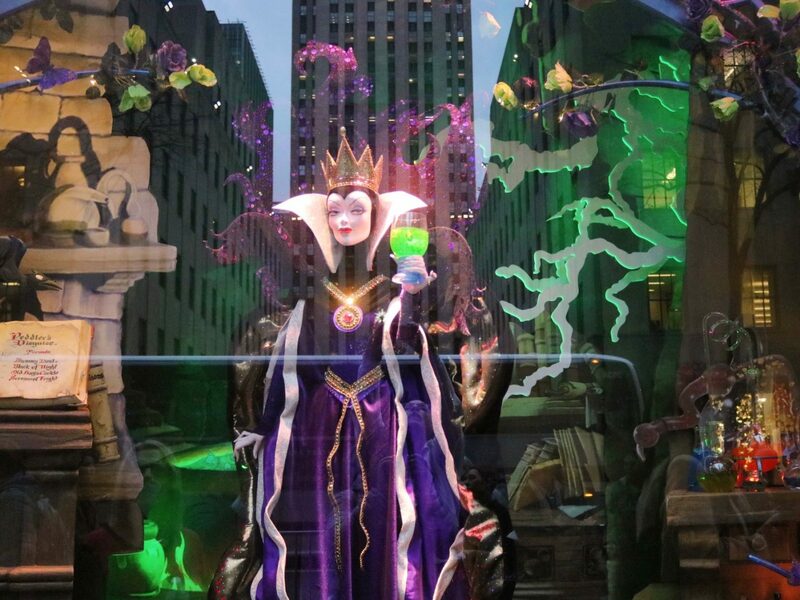 Over my four and a half days in New York city I got to experience these marvelous window displays during the daytime and at night. 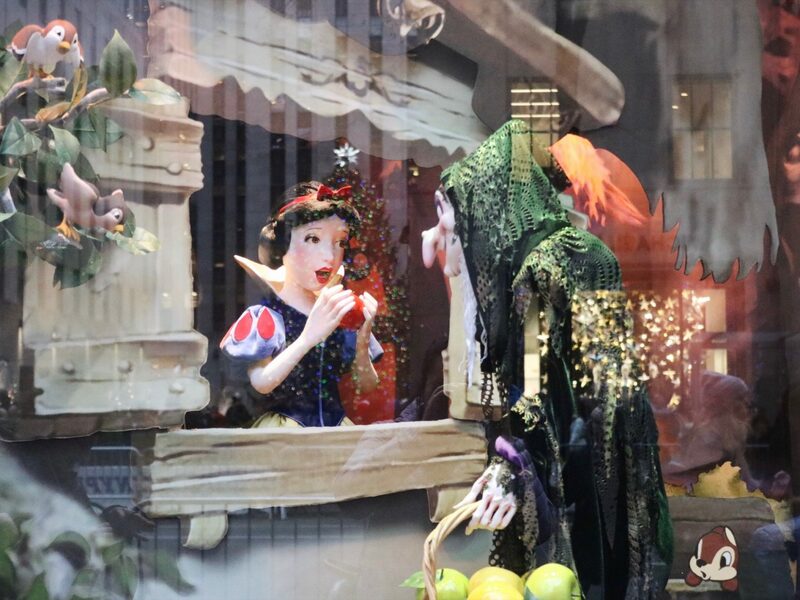 I personally think they were gorgeous regardless but they were extra festive at night. The vibrant colors and attention to detail really helped bring these iconic Snow White scenes to life! 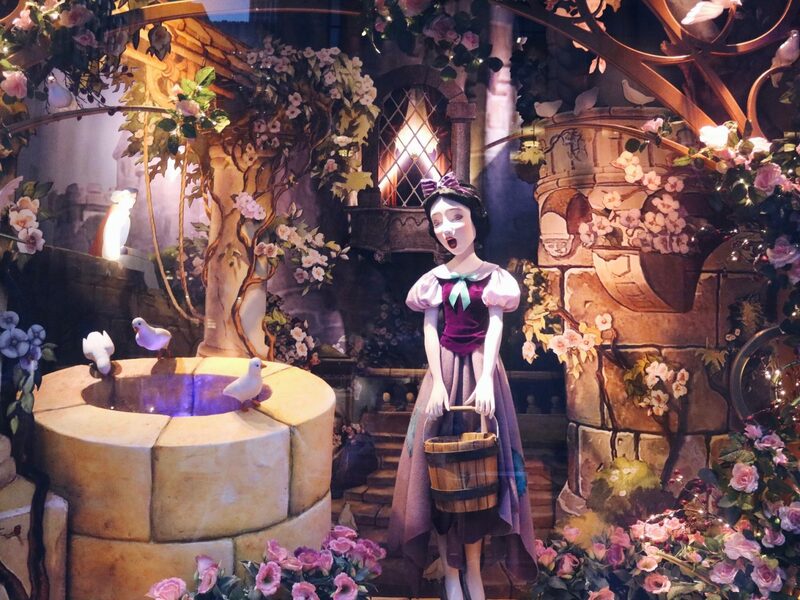 I’m not even a huge Snow White fan but even I can apprentice the amazing work put into these Snow White holiday window displays. 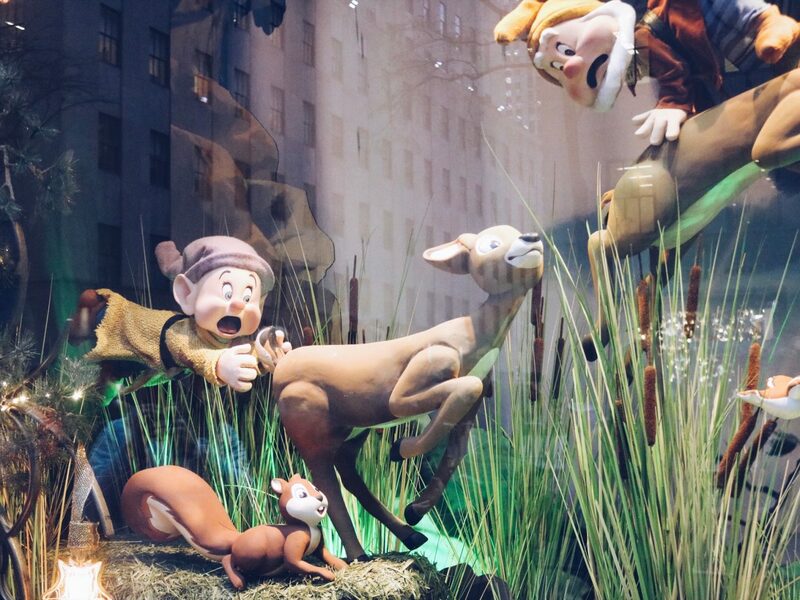 I really liked how they mixed animated/drawn in animals with 3D/full-figured animals. 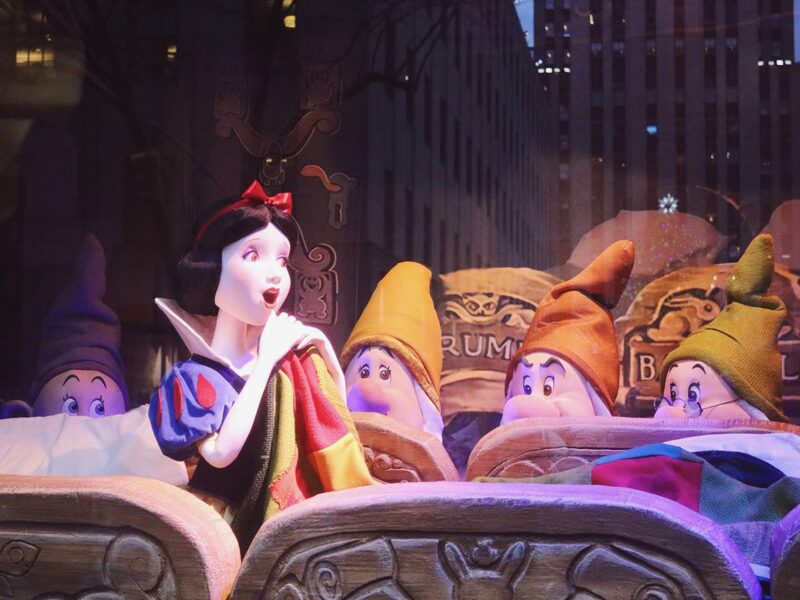 The Silly Song (The Dwarfs’ Yodel Song) scene was so adorable! 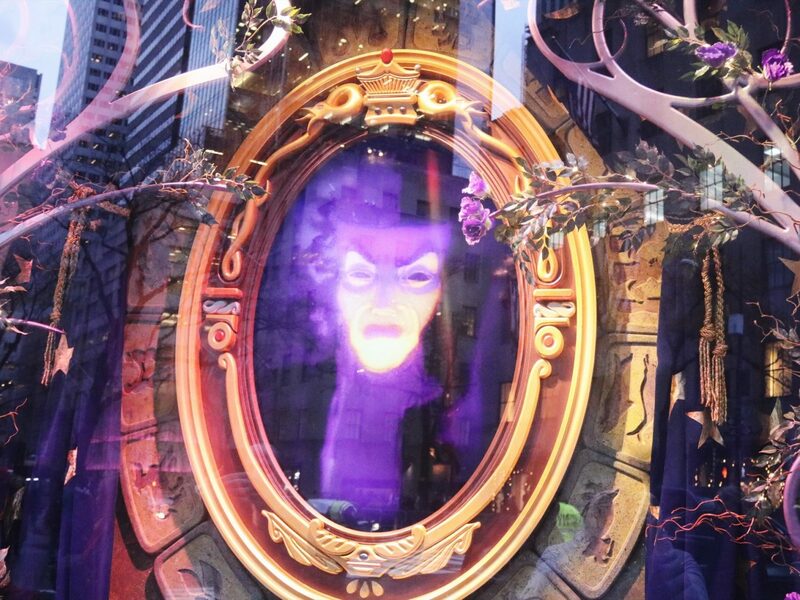 I loved how they showed the Evil Queen transforming into the old witch! 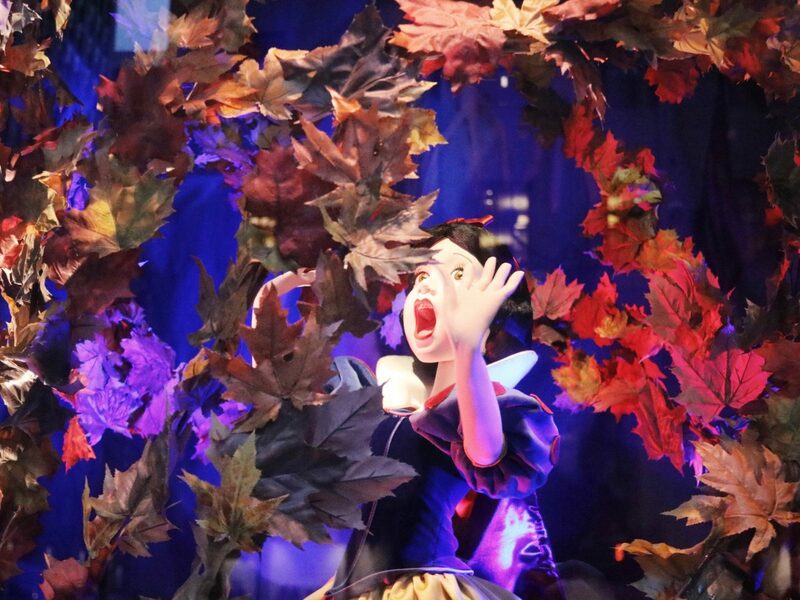 Speaking of the Evil Queen, Regina is one of my favorite characters from Once Upon A Time. 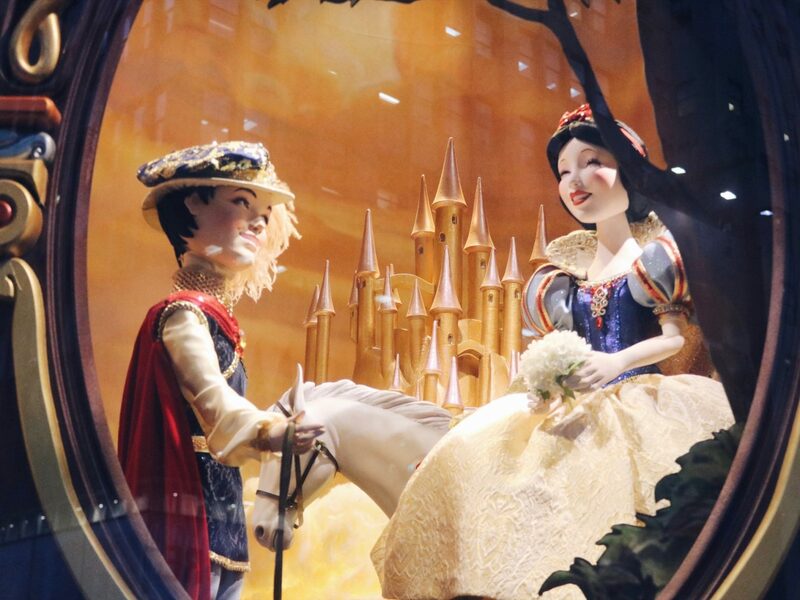 I still can’t get over how incredible these Snow White holiday window displays were! 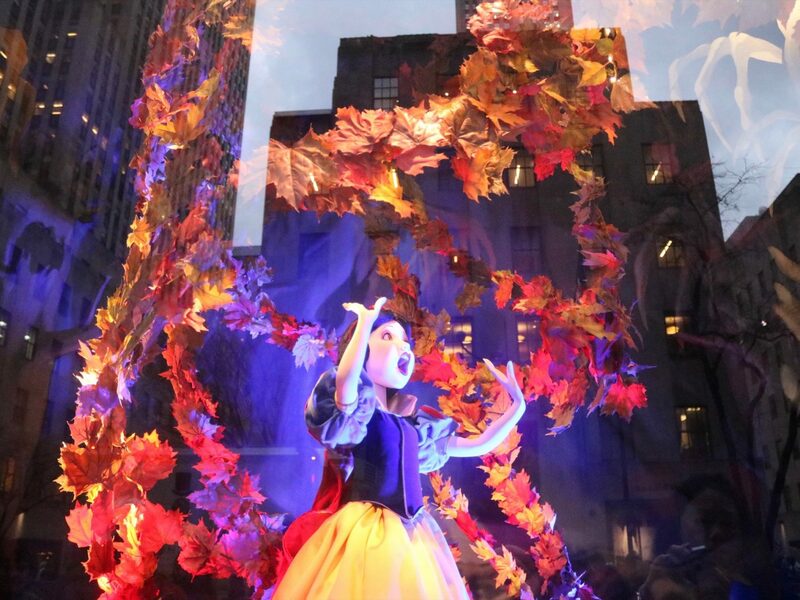 Kudos Saks Fifth Avenue.